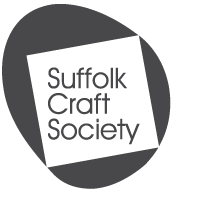 The Suffolk Craft Society was formed in 1970 to promote the value and importance of contemporary crafts and to support individual craftspeople in the creation of their work. The Society supports around 140 makers with a wide variety of craft skills. To promote good design and fine workmanship in the crafts. To advance the careers of the Society’s craft makers. To recruit new makers who demonstrate excellence in their craft.  To promote the education and training of craft workers. To inform and educate the public about the crafts. All work displayed, whether for viewing or sale, under the Suffolk Craft Society banner at any Show or Exhibition will be covered by the Society’s policy for fire and theft through break in. This cover is based on the Insurers defined ‘replacement cost’. The Committee regrets that the Society cannot accept responsibility for damage or loss of any article except for the above noted cover. Individual makers are strongly advised to take out their own insurance to cover accidental loss or damage at all forms of Show or Exhibition and in transporting work to and from them. Any work shown in our showcases at any location is not covered by the Society’s policy for fire and theft through break in. Therefore individual makers are strongly advised to take out their own insurance to cover accidental loss or damage and loss or damage through fire or break in, for all work exhibited in the showcases and in transporting work to and from there. The Society’s Public Liability insurance covers us at any location where work is shown under the Society’s banner, in the event the Society’s negligence causes injury to others. The Society has relied on a few dedicated makers and friends supported by a voluntary committee to organise and run the Society. It has become necessary to pay nominal fees to makers to organise and mount exhibitions, and also for some contract marketing activity, financial and secretarial assistance. Three organisational areas of priority have been identified and they are in the areas of trading, makers' services and education. The abiding value of membership is being part of a network of shared interests and commitment. The Society seeks to enhance maker's status in the cultural sector and to share their experience with other makers and find a sympathetic audience to show their endeavours. A more tangible benefit is one of promoting and marketing makers' work while supporting the development of their creative work. Members have an entry in the Makers Directory on the website. The society is well placed to act as a broker to promote and negotiate the commissioning of craftwork for its makers. A Society Newsletter is produced three times a year. The Society aims to be able to offer the membership professional development support, particularly in areas of business and marketing advice with the possibility of creative mentoring for newer members. Education about and of the crafts the Society sees as an important way of promoting and introducing the values of quality craft to the public. While being more of a charitable service offered by the Society, it is recognised that the secondary benefits to the membership make it an important priority. The Society is well placed and has a wealth of talent in its membership to offer education programmes for schools, adults and professional development support to its own members. The Society is seeking partnership with local authorities and other organisations to implement an ongoing programme of workshops and residencies in schools. Further, it is a desire of the Society to undertake exhibitions that have the expressed curatorial aims of being educational and informative rather than commercial.